When asked which team he supports in the much-anticipated soccer World Cup qualifier between Hong Kong and China, Chief Executive Leung Chun-ying has said “it is a pity” that he won’t be able to watch the game, as he will be in the Philippines on a duty trip. The match is set to take place in Mong Kok on Tuesday night. 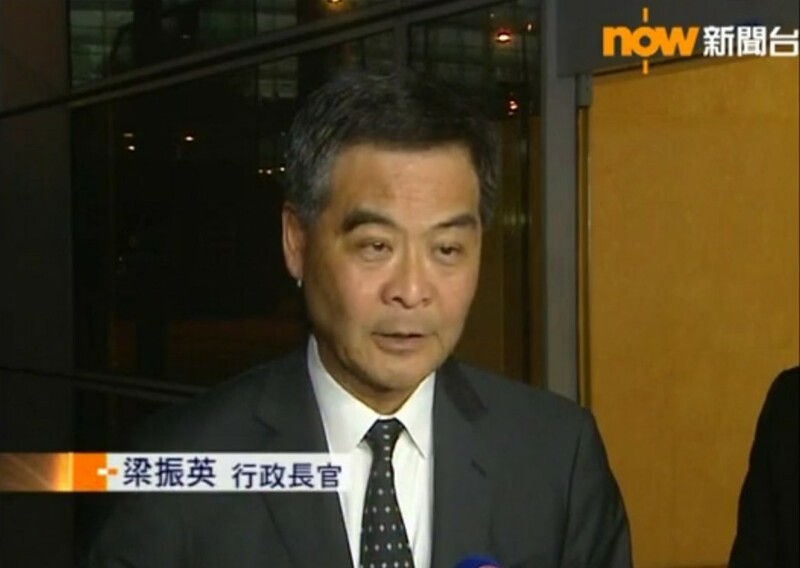 Leung was speaking to reporters at the airport on Monday evening before taking a flight to Manila, where he will attend an Asia-Pacific Economic Cooperation (APEC) meeting. Leung said he “asked” and was told that the game will not be broadcast in Manila. Chief Executive Leung Chun-ying speaks to reporters before flying to Manila. Photo: Now TV screencap. Local newspaper Apple Daily said it had sent an inquiry to all principal government officials to ask them which side they support. Most of them did not reply, with the exception of the Secretary for the Civil Service, Clement Cheung Wan-ching, who said he supported both teams. Cheung said he did not have a ticket, but will pay attention to the game, Apple Daily reported. Security at the Mong Kok Stadium and in the nearby area is expected to be tightened following several incidents in previous games, which saw Hong Kong fans jeering at the Chinese national anthem. Having scored 13 points, Hong Kong is now No. 2 in Group C while China occupies third place with ten points. Qatar is top of the group with 15 points.